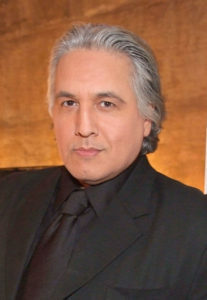 Robert Adame Beltran was born in Bakersfield, California. He is the seventh of ten children, of Mexican-Native American ancestry, though Robert describes his heritage as Latindio. After finishing high school, he attended Fresno State College, where he graduated with a degree in theater arts. Beltran landed his first film role in Luis Valdez‘s Zoot Suit (1981) in 1981. One year later, he landed the role of Raoul in Paul Bartel‘s Eating Raoul (1982). Other appearances included Gaby: A True Story (1987), Nixon (1995) and another Paul Bartel film, Scenes from the Class Struggle in Beverly Hills (1989) among others. In the theater, he has appeared in productions for Luis Valdez‘s El Teatro Campesino, the LA Theater Center, the California Shakespeare Festival and others. Robert founded and serves as co-artistic director of the East LA Classic Theater Group, with a staff of professional actors. There, he played Hamlet and served as co-producer as well as director. Robert appeared in A Midsummer Night’s Dream; King Henry IV; A Touch of the Poet; and The Price, among others. In 1995, he got the part of Commander Chakotay on Star Trek: Voyager (1995). At that time, he received a Nosotros Golden Eagle Award as best actor in a television series. Robert supports National Down Syndrome Society and lives in Los Angeles, California.